One of Fortnite’s major new additions is the inclusion of an Arena mode. It’s essentially the ranked playlist for those wanting to test themselves in a more competitive and challenging environment. If you’re looking at diving into the Arena and putting your skills to the test, though, you’ll probably want to get an idea of how it all works. Let’s start off with the very basics of Arena mode. If you’re already clued up on how the scoring systems and leagues work, you’ll probably just want to dive into the action. Rather than the Cups that have been in the game for a while now which offer a competitive environment in limited time slots, the Arena mode is available to play whenever you want. 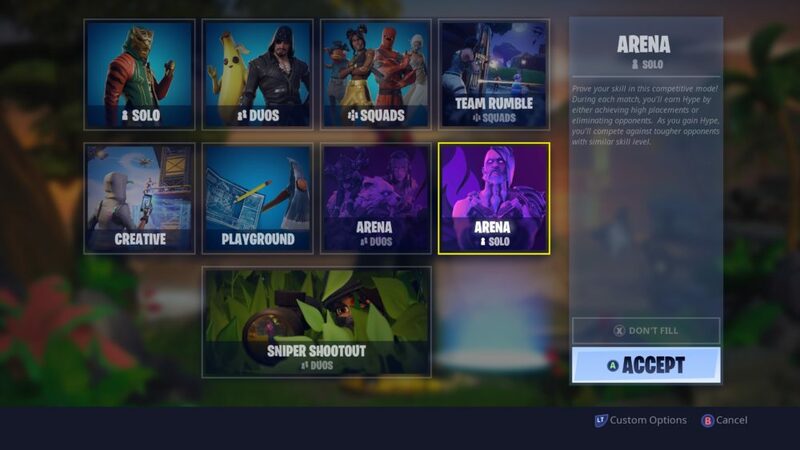 Simply go to select your game mode and you should see Arena Solo and Arena Duos both available among the usual Solo, Duos, Squads and other LTM modes. Select whichever one you want to hop into and ready up and you’re all good to go. The Arena mode’s scoring system is all based on Hype. This is earned by reaching the top X amount of players, and eliminating players. It’s worth noting, however, that this is different depending on whether you’re playing Solo or Duos. We’ve broken down the scoring systems for both Arena modes down below. The amount of Hype you earn per game will directly affect what Leagues and Divisions you’ll find yourself within Fortnite’s Arena mode. This, therefore, ensures that players are competing against others of a similar skill level, rather than seeing newcomers going up against the likes of Ninja or CouRage. This is going to take a bit of getting your head around, so hold on. 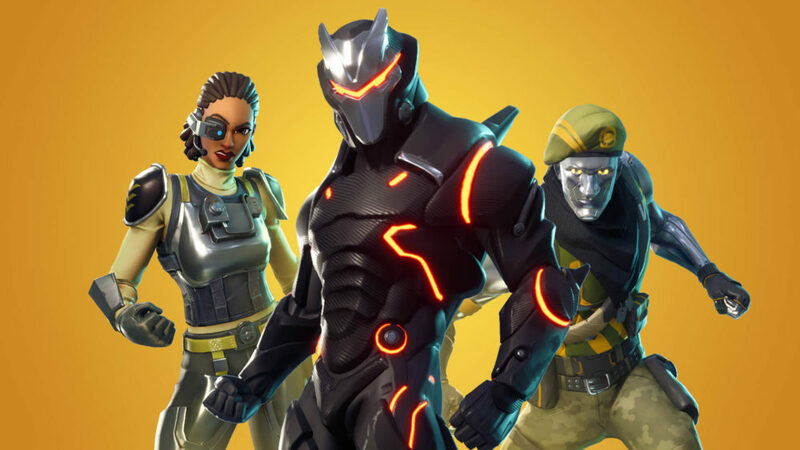 Fortnite’s Arena mode has three separate leagues, which are then divided out into seven divisions overall. We’ve broken this down in bullet points below to make it a little clearer. At this point, you’re probably wondering how it is that all players won’t eventually just reach Division Seven. After all, as long as you’re getting one or two Hype per game, you’d reach that 300 requirement eventually. Well, that’s down to Bus Fare. The Bus Fare system, which confused many when it first released as part of the Gauntlet mode from earlier this year, is essentially the price you have to pay in order to play a game of Arena. 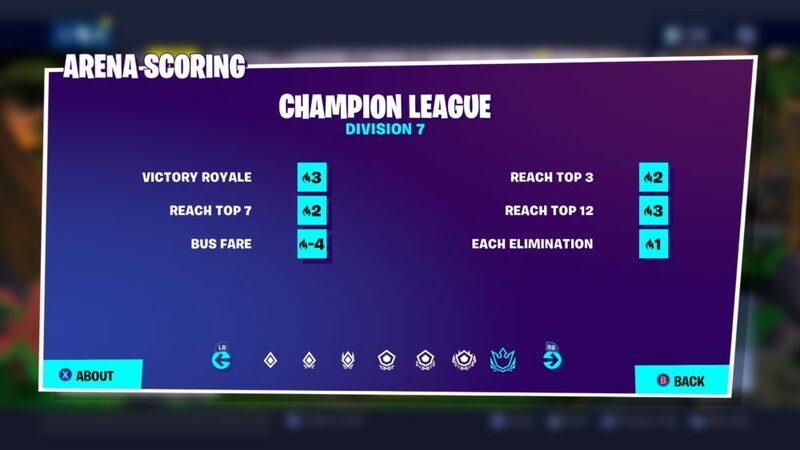 This increases depending on the division you’re currently playing in, therefore putting pressure on players in higher divisions to rack up plenty of eliminations and finish in the top brackets of players consistently, otherwise they’ll be relegated. You can check out all Bus Fare requirements for all divisions in both Duos and Solo down below. What’s Different in Fortnite’s Arena Mode? Outside of the fact that Arena offers a more competitive environment for Fortnite players, it also retains some of the very popular siphon and material changes that were reverted in the standard game modes as part of the v8.20 patch. That means you’ll get 50 HP or Shield every time you eliminate a player. You’ll also only be able to carry a maximum of 500 of each kind of material, and the harvest rate will be considerably faster than it currently is in the standard Solo, Duos, and Squads game modes. As such, you can expect a far more aggressive and fast-paced experience within Arena mode. Saying that, ensure you’re at your very best before hopping into Arena, because it’s gonna be a real challenge. That’s all you need to know about Arena mode. For more tips, tricks, and guides on Fortnite’s current season, be sure to check out our ever-expanding Season 8 guide wiki.